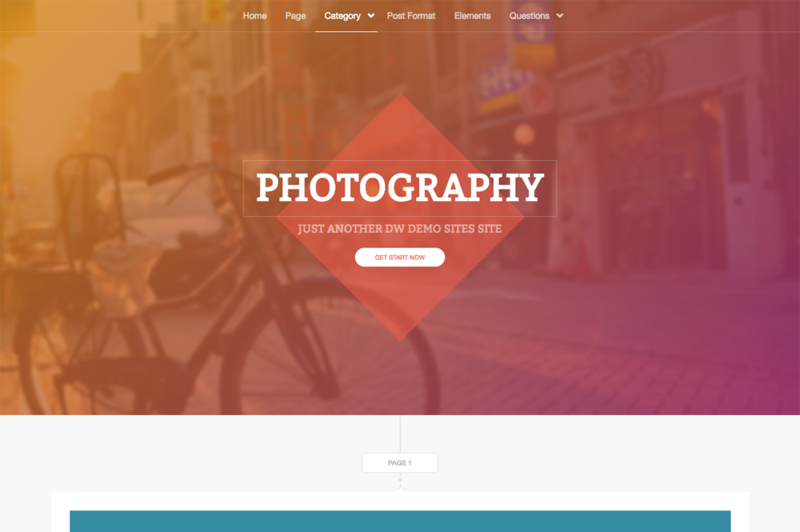 A free timeline WordPress theme dedicated for blog and portfolio. 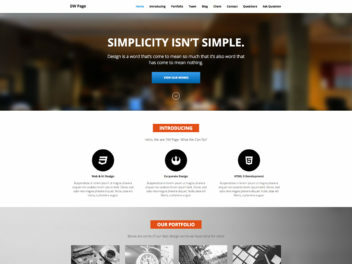 Supporting Bootstrap 3 and Theme Wrappers. 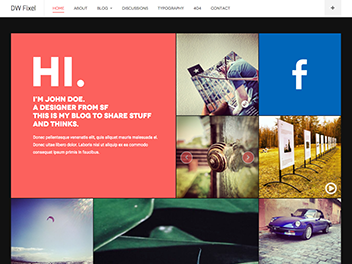 Free timeline WordPress theme dedicated for blog and portfolio sites – DW Timeline. 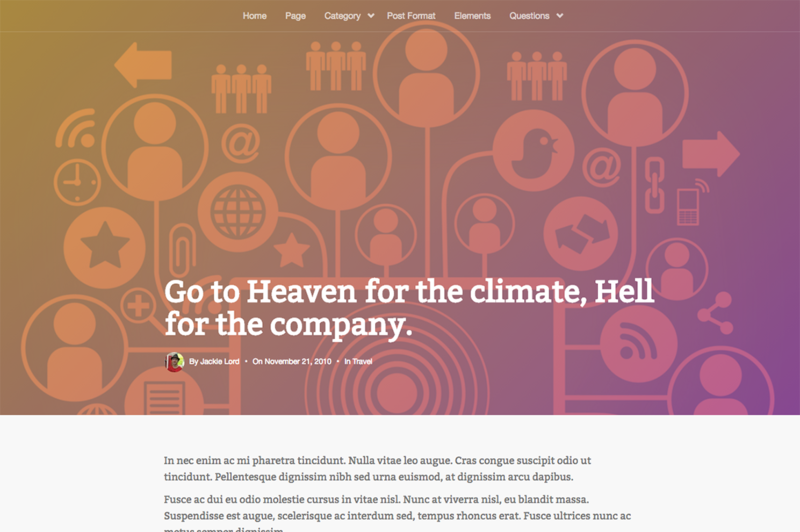 From Facebook to WordPress, we adapt the popular timeline layout into our theme and create a unique Timeline WordPress theme. 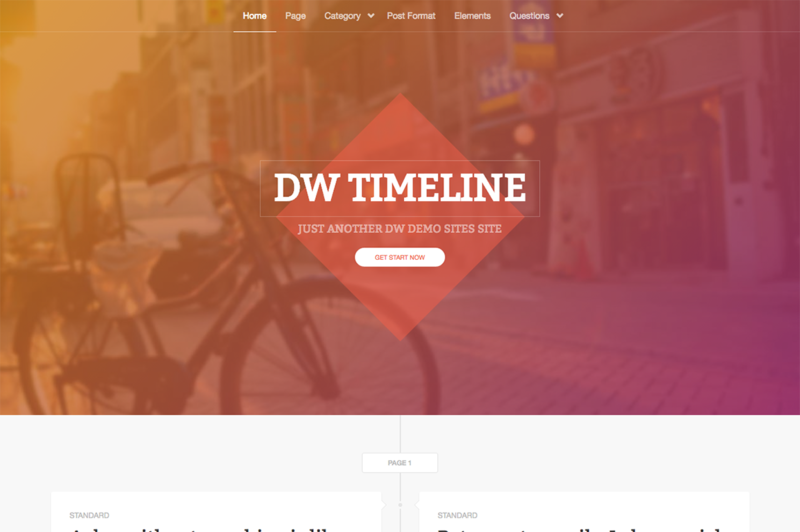 Suitable for blog and portfolio sites, DW Timeline supports up to 6 post formats and useful features. 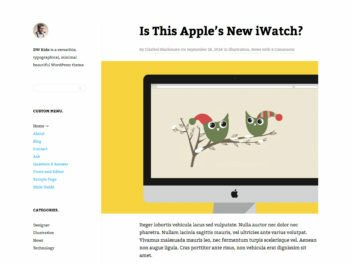 We adapt the popular timeline layout and create this unique theme for blog and portfolio. There are up to 6 different post formats that you can use: Standard, Gallery, Video, Status, Audio and Quote. The theme supports .po/.mo translation files and can be translated into your own language. The timeline is divided in somedifferent pages. I love the theme but the fact that now after using the free theme for so long I can’t see the images in this live demo coupled with not being able to buy it (even after adding it to the cart) makes me want to hate it. Please consider fixing it ASAP. How do i change the colour of the “Learn More” button. Hello! How to add pages1,2,3,4 in right Menu? Adding widgets in DW timeline.